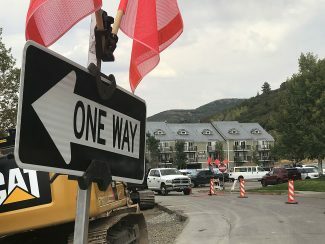 Park City Mountain Resort does not intend to withdraw or change its application seeking a trademark for the name Park City as it applies to a mountain resort, PCMR said in a letter to City Hall leaders, prompting a response from the municipal government that is more strongly worded than past statements in the dispute. 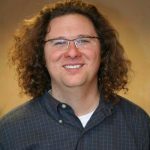 Bill Rock, the chief operating officer at PCMR, outlined the stand in a letter to Mayor Jack Thomas and the Park City Council. City Hall released a prepared statement in response to the Rock letter. The correspondence from City Hall especially seems to illustrate the deepening tension in Park City as critics of the trademark application pressure the municipal government to formally oppose the PCMR owner Vail Resorts bid for the words Park City. Vail Resorts says the trademark, sought from the U.S. Patent and Trademark Office, would guard against another mountain resort using the Park City name. City Hall is one of more than 100 businesses, individuals or government bodies that filed paperwork with the Patent and Trademark Office indicating they are considering a formal opposition to the trademark application. The businesses with the Park City moniker are worried Vail Resorts could take action against them if the trademark is granted even as the Colorado firm has consistently said it is willing to enter into agreements outlining that it would not challenge their names. 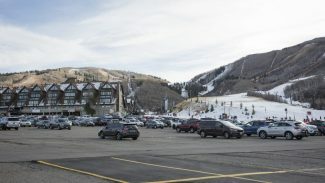 City Hall and the PCMR-Vail Resorts side were negotiating an agreement covering the other businesses. Vail Resorts acquired PCMR in 2014 from Powdr Corp. in a deal that also ended a lawsuit that centered on a lease dispute. Powdr Corp. started the trademark process for the name Park City prior to the sale and Vail Resorts continued the efforts of the previous owner. Vail Resorts markets the resort as Park City, saying the name is recognizable in the ski industry. Rock, meanwhile, mentioned other places where mountain resorts have trademarks on the name of the community where they are located. They include the Colorado communities of Vail, Breckenridge and Telluride as well as Sun Valley in Idaho and Killington, Vermont. “We think it’s a simpler, cleaner and more powerful approach to attract guests from around the world to our community. However, we have also heard that using just Park City could be confusing locally and we have offered to work with the city in good faith to address these concerns. It’s critical that this be a sincere effort, based on cooperation and as real-world situations arise. But it is not appropriate for the city to expect to have legal rights over our branding,” Rock wrote. City Hall responded to the letter from Rock with a prepared statement that heavily quotes the mayor. Thomas said there is disappointment with the Rock correspondence. “The City Council directed our attorneys to simply convert what we heard firsthand and publicly from Vail into a binding agreement. No more, no less. And Vail balked, essentially saying just trust us and we will consider your concerns down the road. Well that just isn’t good enough,” Thomas said. 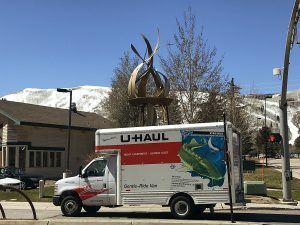 According to the City Hall statement, officials wanted to secure a commitment from Vail Resorts that it would not oppose the existing uses of the name Park City and that the company would broadly allow third parties in the future to also use Park City. The statement said City Hall also wanted to eliminate confusion of signs. The Patent and Trademark Office gave City Hall until July 9 to decide whether to file a formal opposition to the application. The statement from the municipal government says it will ask for 60 more days and attempt to reach an agreement in that time. It also says City Hall will continue to prepare its formal opposition to the application during that time. The statement indicates the municipal government has hired a law firm to assist with the trademark issue.